2018 G1 Melbourne Cup victor Cross Counter came through to beat stable companion Ispolini as the Charlie Appleby-trained duo dominated the finish to the two-mile G2 Dubai Gold Cup on Dubai World Cup night, Saturday, 30 March, at Meydan, UAE. Another Godolphin runner, Red Galileo (Saeed bin Suroor/Pat Cosgrave), set a steady pace for the 10 runners with Cross Counter racing keenly on the outside in third initially before being covered up in fourth by William Buick as the fourth Godolphin participant Team Talk (Saeed bin Suroor/Christophe Soumillon) moved around the field to go third after the first half-mile. Ispolini raced in eighth under Brett Doyle on the inside and quickened strongly after getting a split on the inside rail turning for home to take up the running before they straightened up. Teofilo four-year-old Cross Counter, making his seasonal debut, immediately moved up to challenge as the two Godolphin runners forged clear in the straight. He came through to head Dubawi four-year-old Ispolini well inside the final furlong before asserting in the closing stages to prevail comfortably in the end by a length and a quarter in 3m 19.00s on good turf. 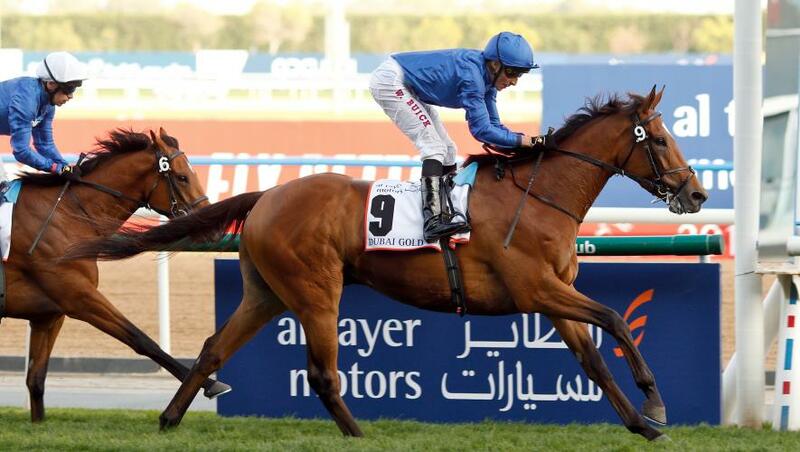 Charlie Appleby said: “It was a tough ask for Cross Counter to go and win the Melbourne Cup as a three-year-old. The way he won that day meant that we always had it in the back of our minds whether it took a bit out of him. “This was our first opportunity to run him since and I think he has answered all the questions we needed to know – he is enjoying life and going the right way. “Once Christophe Soumillon came outside of William on Team Talk, Cross Counter switched off again and you can never worry when you have nice horses and the jockeys we have. “I have spoken to His Highness Sheikh Mohammed and we will let everything calm down over the next week or two, but we might look towards the G1 Gold Cup (2m 4f) at Royal Ascot (Thursday, 20 June). “I was pleased that Brett Doyle got a nice run up the inside because he was in a pocket, and he gave Ispolini a lovely ride for the horse to have every chance of winning. William Buick added: “Brett Doyle gave Ispolini a lovely ride and he pounced on me. Ispolini is a horse with a good turn of foot over this trip and both he and Cross Counter ran great races. “Cross Counter has confirmed the class he showed in the Melbourne Cup last year. The great thing about him is that he has the class to run over a mile and a half, but stays two miles. He is still a young horse and there is plenty more fun to be had with him. “He jumped a little bit slow and the pace was a little but stop-start, but he just showed his class. It was his first run of the year, so I would say that there is a bit to work on as well.